Join the USDAA World Team as they prepare for the IFCS World Agility Championships! Led by Team Coach Andy Mueller and Assistant Team Coach Jessica Ajoux, the course is designed to provide you an insight into the training for the USA’s team competing in Hellendoorn, Netherlands, in April at the World Agility Championships. Post up to 2 of your training videos per month and receive feedback specific to your videos, from a former World Team member!!! This benefit lasts through April 2019. That is only $5.00 per video review, if you post 2 videos per month. WOW!! 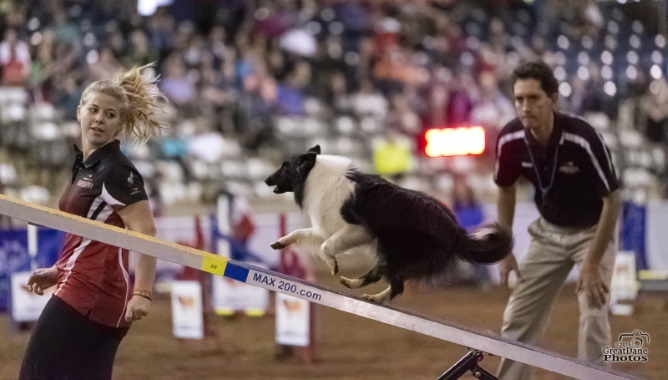 All participants will have access through September 30, 2019 (Access will be read-only after the World Agility Championships event on April 10-14, 2019). Post up to 2 of your training videos per month and receive feedback specific to your videos, from a former World Team member!!! This benefit lasts through April 2019. Amber Genest McCune and Kaboom!